After a red eye flight across the country, a shower in the Admiral's Club at Miami International Airport was amazing! 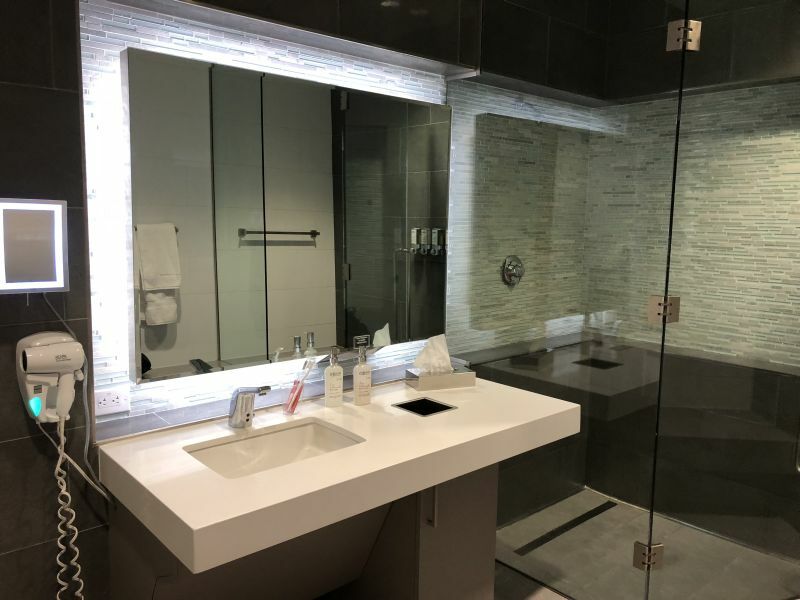 Their shower suites are very nice in the newly remodeled club. 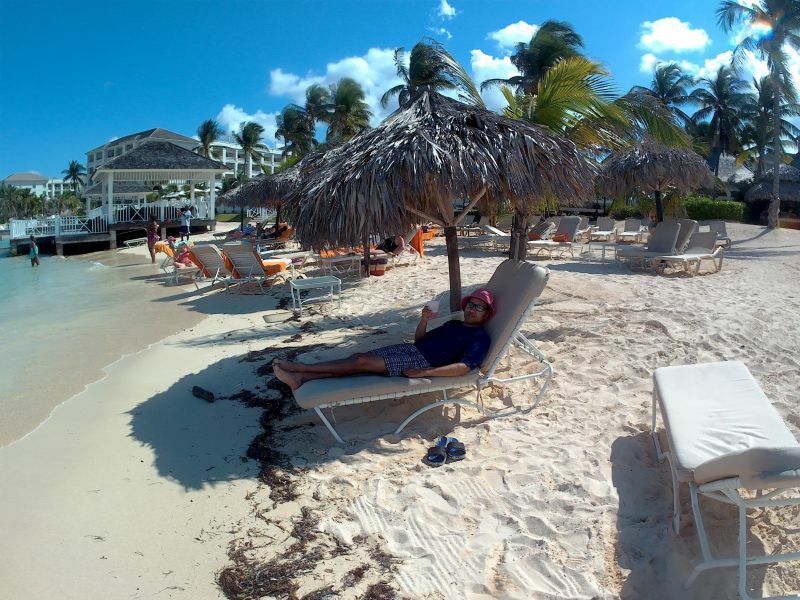 The lounge chairs at the Admiral's Club was great for catching up on some sleep too before my flight to Montego Bay. 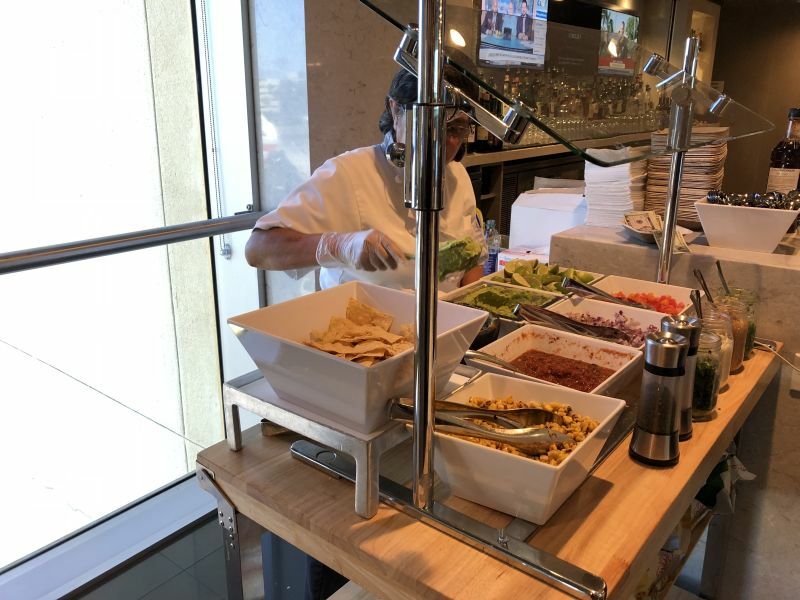 What could be better than fresh guacamole in the Admiral's Club to go with the other snacks and beverges! I was very impressed with American's airline club this time. It was a big improvement over other Admiral's Clubs! I arrived into Sangster International Airport in Montego Bay at night. The Hyatt Ziva Rose Hall left a plate of fresh fruit for me in my suite. 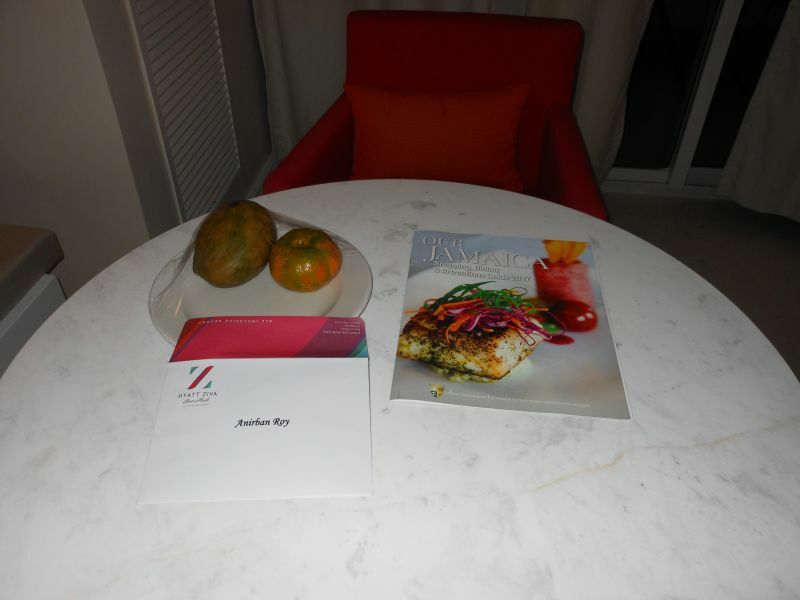 The food at the all inclusive Hyatt Ziva Rose Hall was amazing! 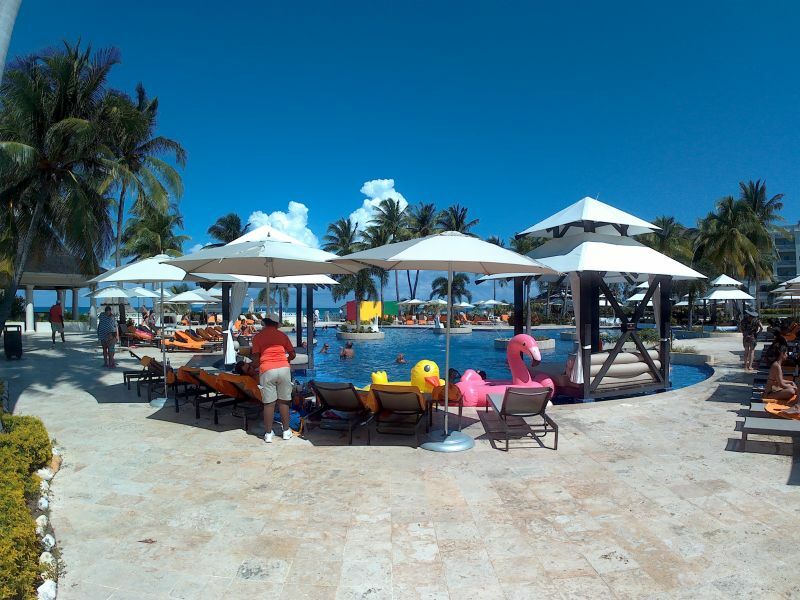 It was the best food at an all inclusive resort that I have experienced. This was my sushi appetizer at the Asian Fusion restaurant called Fuzions. I ordered Butter Chicken for my main course that night. The head chef came out and greeted us too. Good Morning Montego Bay! I had an amazing view of the Caribbean Sea from my balcony. The resort included 24 hour room service. I loved having my breakfast served on my balcony so I could take in the amazing view. The coconut pancakes with strawberry syrup and the "yardie" omlette were great! The pools at the Hyatt Ziva Rose Hall were really nice! The staff kept walking around to get us drinks and snacks as well. 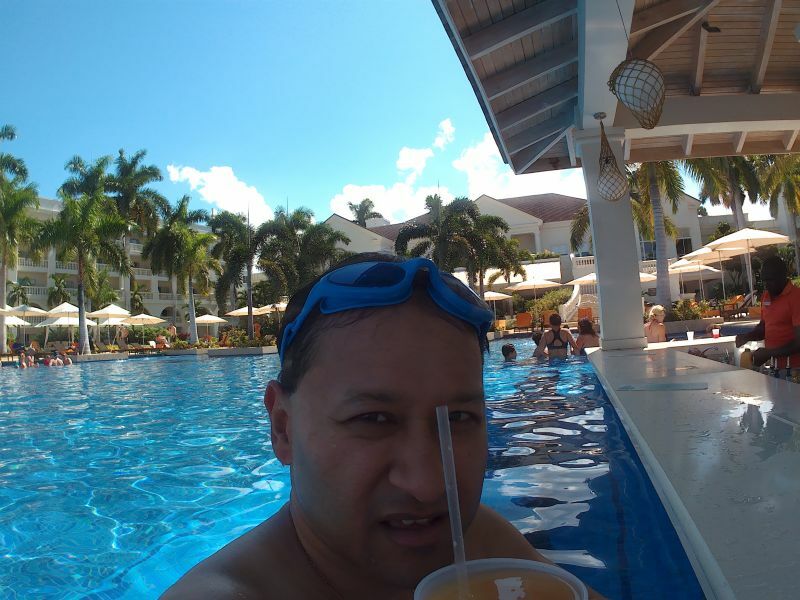 I defintely recommend the Hyatt Ziva All Inclusive Resorts. The resorts are definitely worth the money! 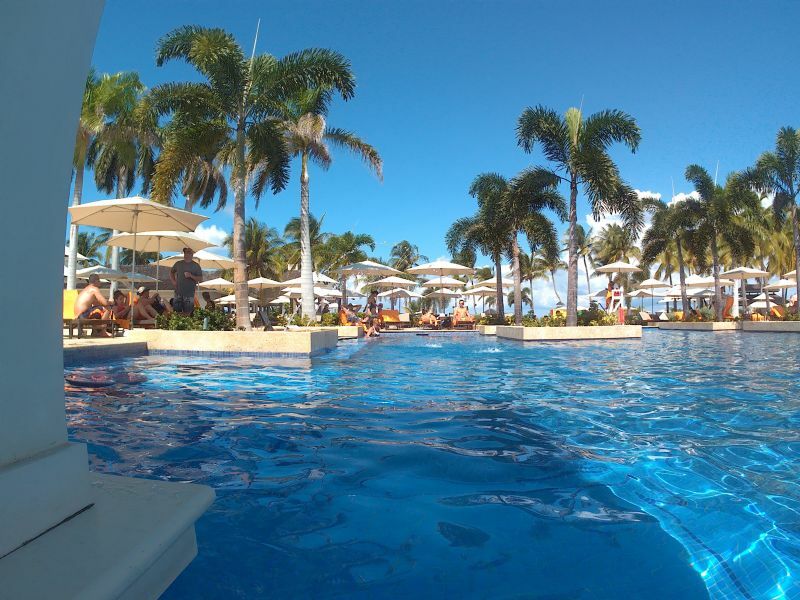 A swim up bar in the pool is a must for any tropical vacation! LOL. I loved relaxing by the private beach too at the resort. I feel asleep actually to the sounds of the crashing waves. That is one amazing view from where I was napping. The beach butlers came around too to make sure we had everything we needed. I ordered my tropical drinks and some amazing jerk chicken! The suite had an all inclusive mini bar too that was stocked daily. 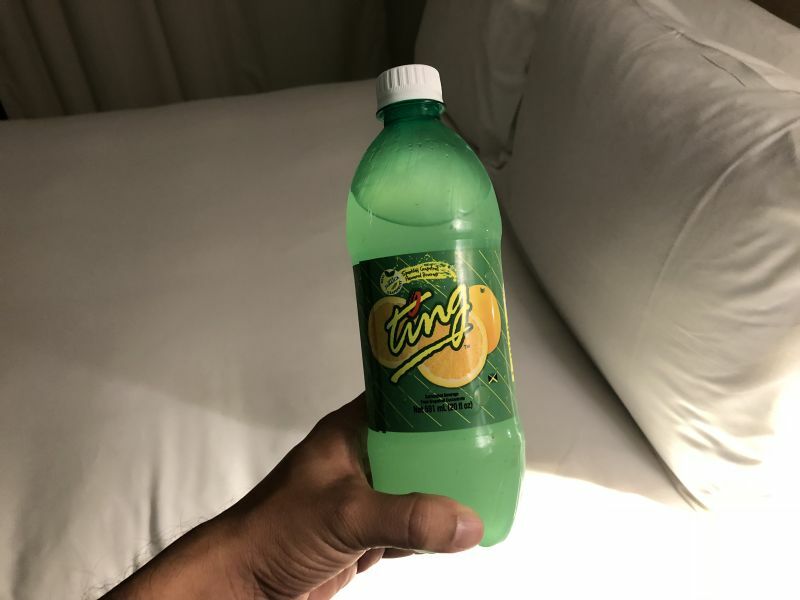 The "Ting Soda" is a local Jamaican soda that has grapefruit juice. The Brazilian Steakhouse on the 2nd night we were there was amazing! This place was at par with some of the top Brazilian BBQ places that I have been to! 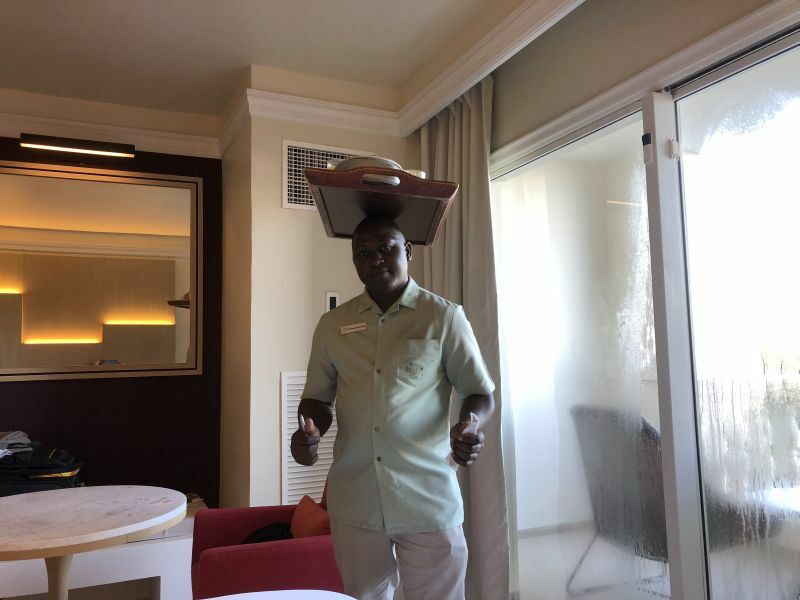 Our room service waiter was trying to entertain us in the morning with a tray on his head. 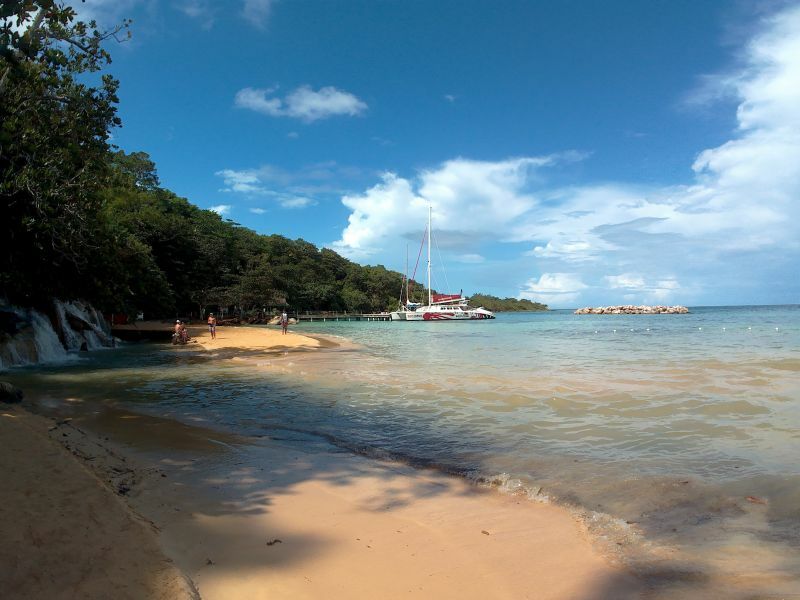 This is the beach where the Dunn's River Falls empties into the sea. We began our climb to the top of the 180 foot waterfall from here. I took my waterproof 4K camera with me to document the climb up the waterfall! The water was actually not as cold as I thought. It felt good. The climb was not as hard either. The rocks were not slippery at all. 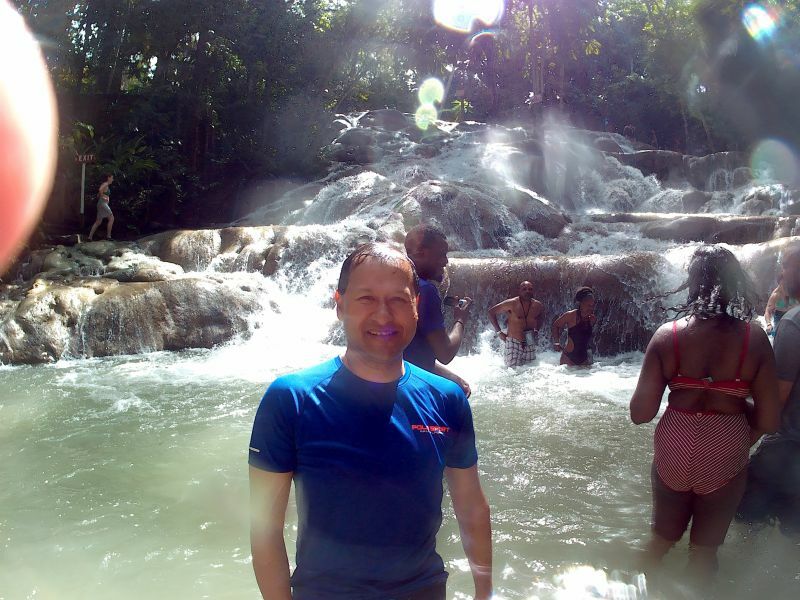 Dunn's River Falls is a must on any visit to Jamaica! 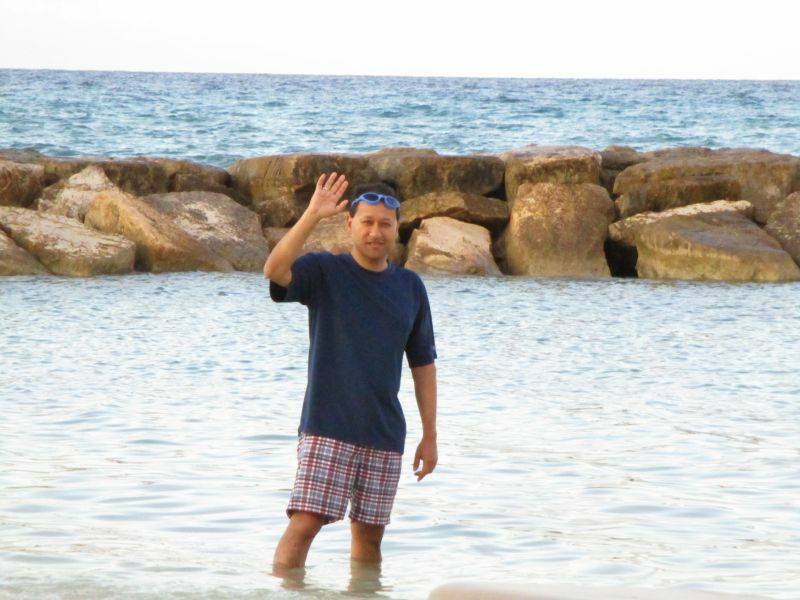 I thought this was a great picture of me waving to my "fans" on the beach at the resort. LOL. I look like a celebrity don't I? 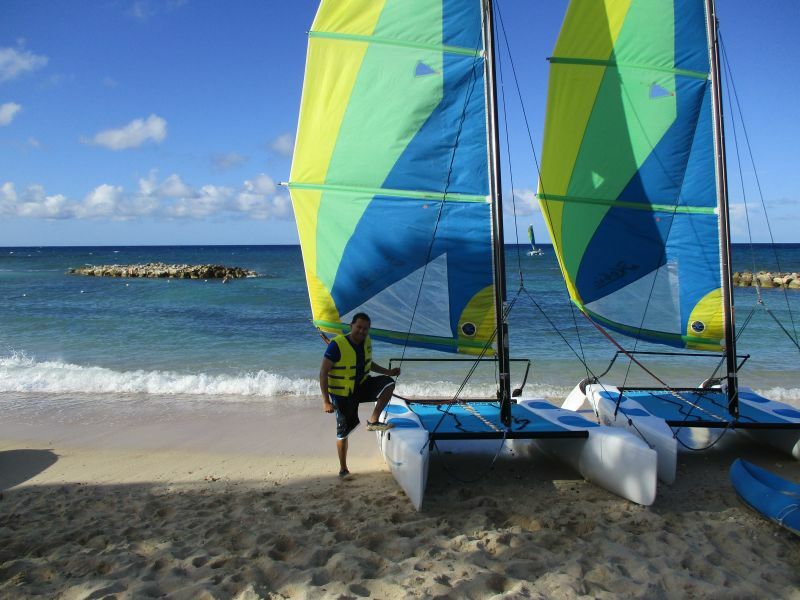 I tried sailing for the first time ever at the resort too. It was so fun! A nice Cuban cigar is a great way to wind down a fun day of water sports! The sunset over Montego Bay from Margaritaville was just amazing! I loved my drink at Margaritaville! The resort is very secure. 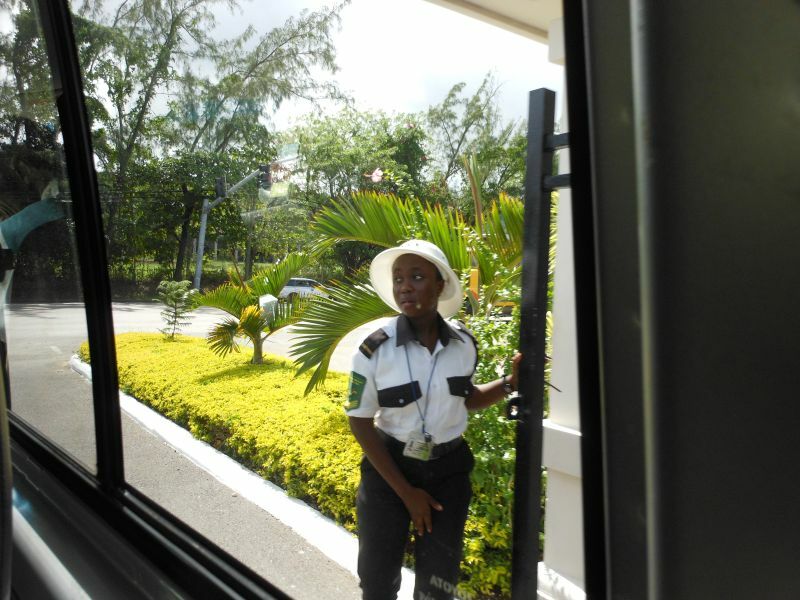 There are guards posted all over the area since Jamaica can be a little rough outside the resorts. We toured the Great House of Rose Hall on the last day. It is supposedly haunted by Annie Palmer, who was the mistress of this large sugercane plantation. She murdered her husbands in this house as well as numerous slave lovers. This house was built in the 1700s, and some of the furniture is original. The Jerk Chicken beach stand at our resort was cool. It was also part of the all inclusive deal. This was the best jerk chicken that I have ever had! The Scotch Bonnet peppers are good too. The fried dumplings or dough is called "festival." 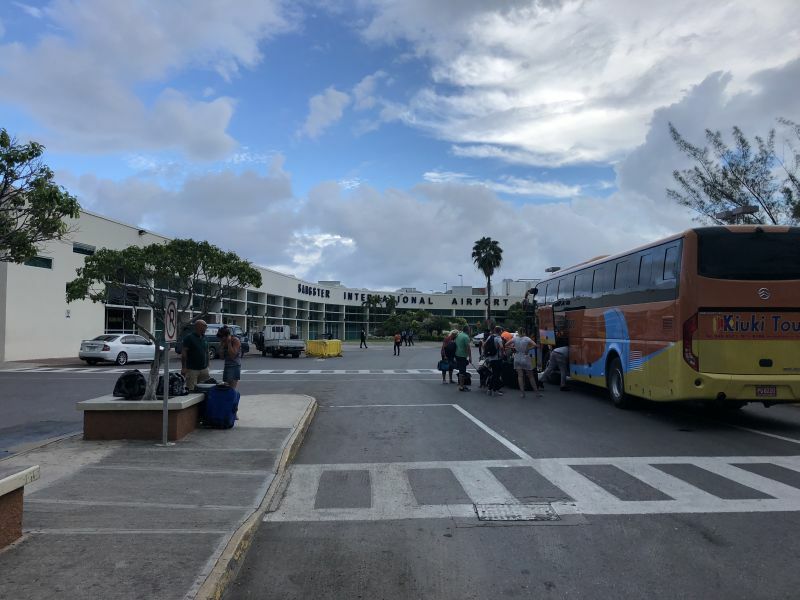 Here is a picture of Sangster International Airport in Montego Bay, which is the largest airport in Jamaica. 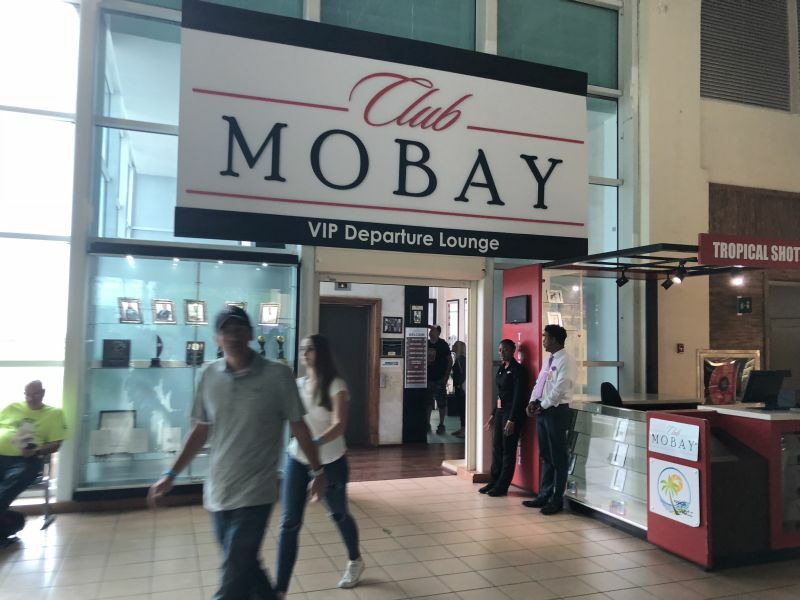 I recommend buying passes for the VIP Lounge called Club MoBay. We got expedited access through security and immigration also. Club MoBay had a lot of snacks and beverages. 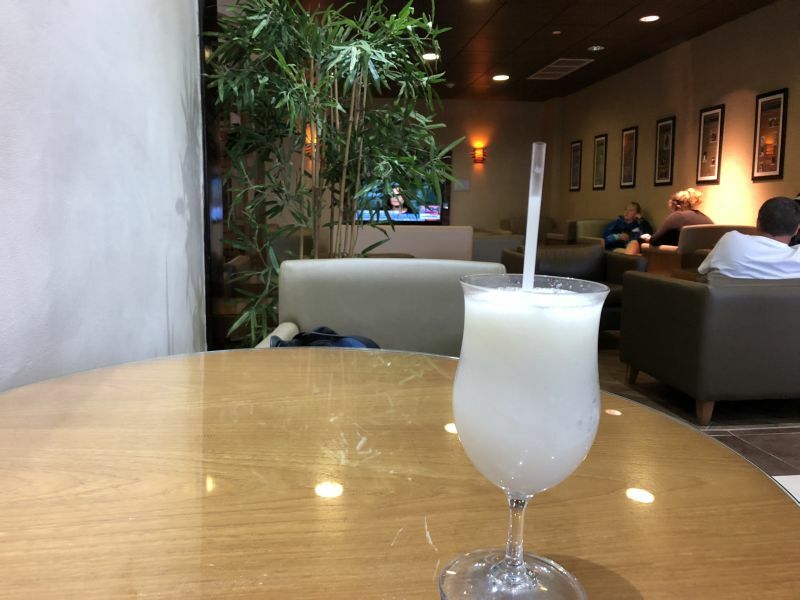 I needed another Pina Colada before boarding the plane! Hurricane Maria ruined my original plans to go to Puerto Rico in 2017. As a result, I was able to rebook my trip to another Caribbean destination on short notice. 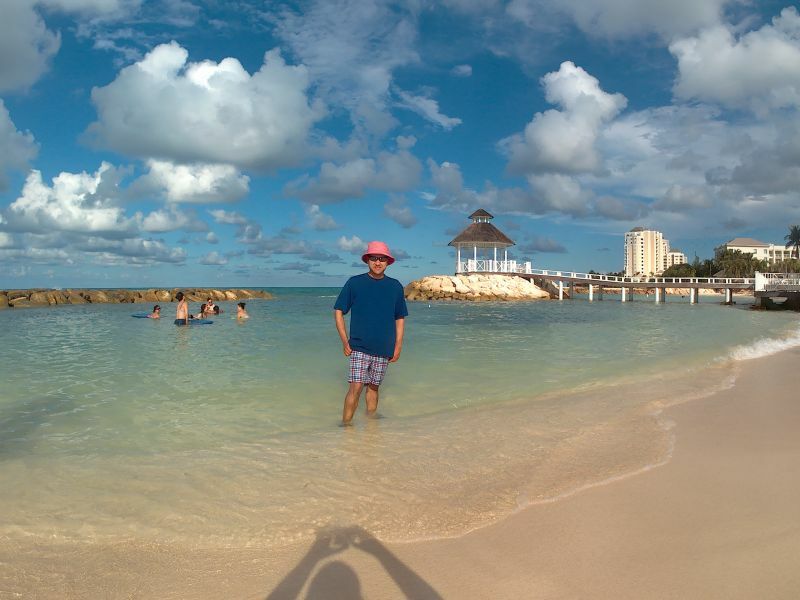 In November of 2017, I took a trip out to visit Jamaica! My goal was just a nice relaxing beach vacation to get away from Sacramento. The only hardship involved was getting there. From Sacramento, I had to fly to Phoenxi before catching a red eye flight to Miami. From Miami, I flew to Montego Bay. 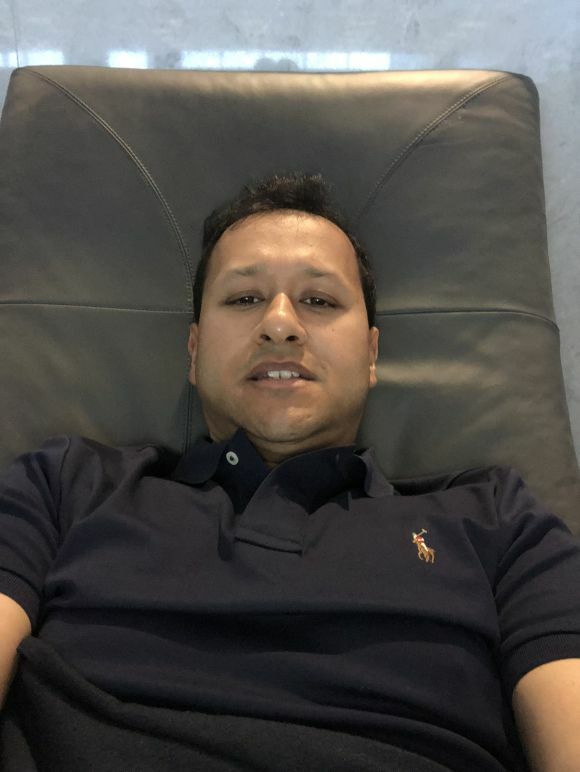 However, I did have Admiral's Club access in Miami so I was able to take a shower and sleep a ltitle in the lounge before catching my flight to Jamaica. 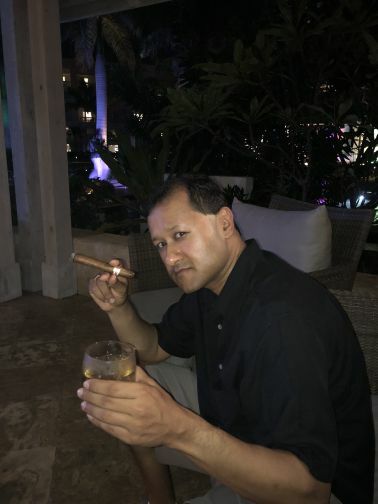 I was very impressed with the Admiral's Club in Miami. It was recently renovated, and it was even better than the United Club in Narita, Japan. The food selection was decent, and the drinks were not too bad. After arriving in Montego Bay, a guy from the resort greeted us after we got our luggage. He arranged ground transportation to the all inclusive Hyatt Ziva Rose Hall for us. The airport transfers were included too with our hotel room. After checking in, I noticed the resort left a plate of tropical fruit for me in my suite. I do not have the high status yet for Hyatt like I do with Hilton, but they still treated me like a VIP guest. Afterwards, we had dinner at the Asian Fusion restaurant. All the food and drinks including 24 hour room service were included in the room rate. The food at Fuzions was great, and the head chef greeted us too personally. 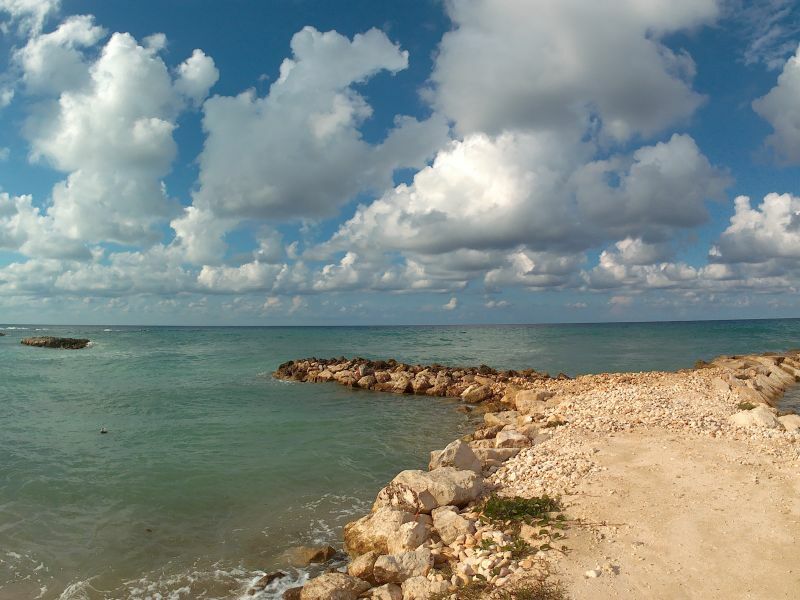 The next morning, I awoke to a beautiful view of the Caribbean Sea from my suite. I ordered my breakfast and had it served on my balcony so I could watch the sea as I ate my coconut pancakes. The rest of the day was a lazy day spent swimming in the pool, napping on the beach, and indulging in lots of tropical drinks that were served by a beach butler. 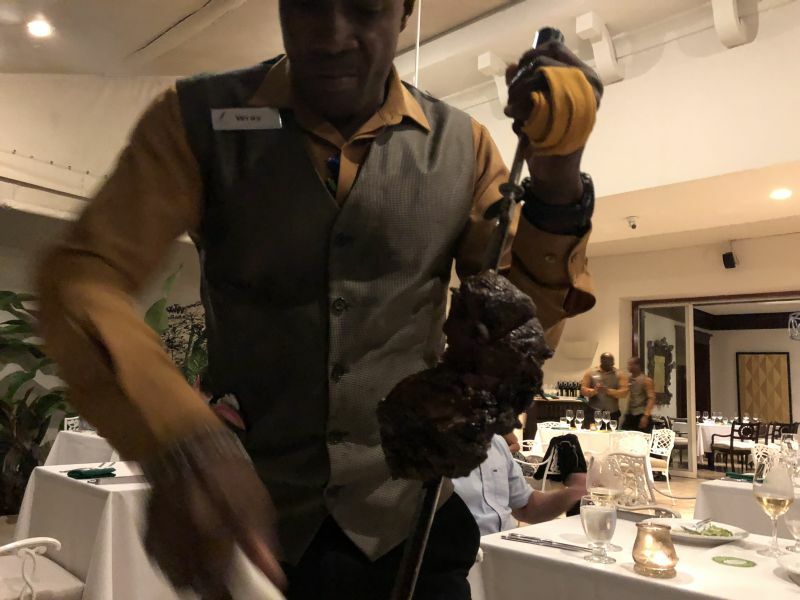 That night, we had a great dinner at the Brazilian BBQ place at the resort. Furthermore, there was nightly entertainment too at the Hyatt Ziva. 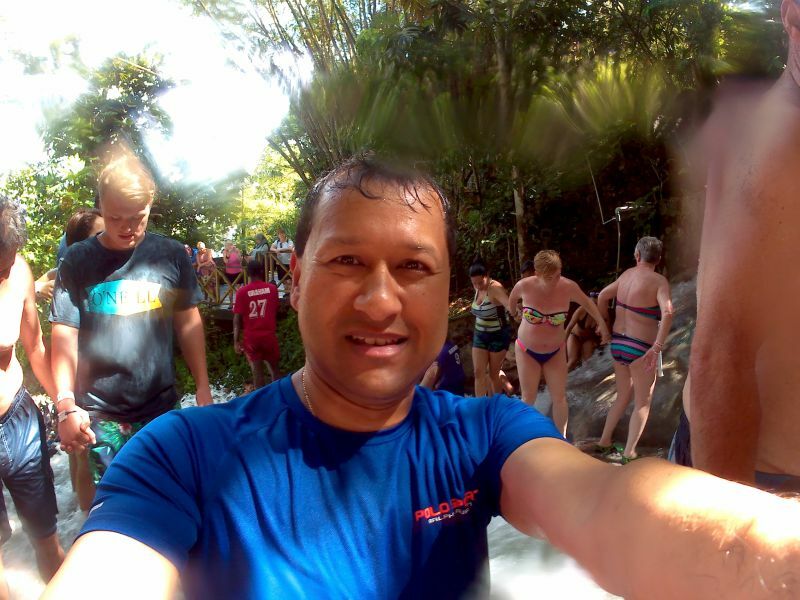 I went to climb Dunn's River Falls the next day. 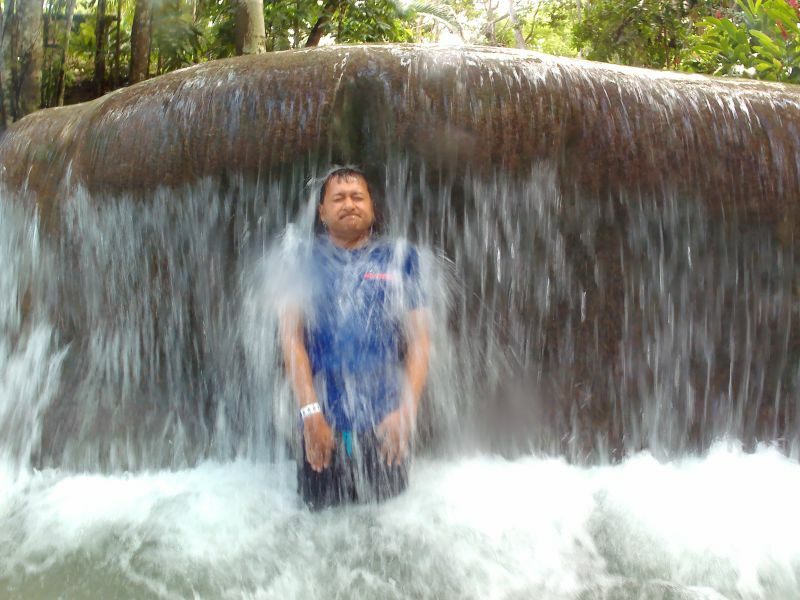 The climb from the beach to the top of the waterfall was 180 feet. We had a guide with us who took us up to the top. It was not as hard as I had thought. The water felt nice too even though it was not as warm as the Caribbean. I also went sailing that day at the resort. We went to the "Hip Strip," which is a tourist spot to go shopping and clubbing in Montego Bay too. Margaritaville was fun! The views from there were amazing! We booked a private guide from the hotel so we had a local Jamaican guy there with us as security. Jamaica is a not that safe outside the resort areas. Also, we toured the Great House of Rose Hall. The Great House as built in the 1700s, and it was the plantation owner's house. Annie Palmer was the mistress of the plantation. She murdered her husbands to get their wealth. A lot of people say that the Great House is haunted by her and the numerous people she killed including slave lovers. Jamaica was an amazing trip! I recommend it to anyone!